It’s Throwback Thursday (at least on the West coast still) and since QBS‘s first anniversary was yesterday (26th June 2014), this article is dedicated to our three girls that shined as a sub-unit in Japan. Just a little more than a year ago, Qri, Boram and Soyeon promoted their sub-unit while the rest of their younger sisters had their N4 in Korea. “Like the Wind” might not be your typical T-ara K-kop or J-pop kind of song simply because the whole concept is really like the wind. It’s supposed to be soothing, calm, and sweet, which I think it was a good change and deviation from the group’s regular style. After all, it’s their sub-unit, so it’s really a chance to show a new side of themselves. 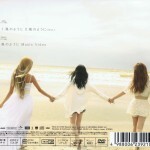 Soyeon’s vocals filled most of the song, with Qri and Boram supporting their maknae (Soyeon, since she’s the youngest of the three). I would say that it is a success in Japan because the fans enjoyed it, as much as they had enjoyed the other Japanese performances of T-ara as a whole. The concept itself fits the three of them very well, especially the MV that emphasizes on purity and serenity of the beach, breeze and water. If you’re a fan of T-ara’s Japanese original songs (mainly because Soyeon sings like an absolute J-pop artist! 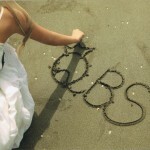 ), QBS’s “Like the Wind” could probably be one of their best. It is definitely a song for QUEEN’S to remember.